The Saudi hit team that murdered and dismembered journalist Jamal Khashoggi attempted to create a decoy in order to later provide "evidence" that Khashoggi departed the Istanbul consulate safely. Early Monday CNN released footage and a still frame of a Saudi intelligence operative dressed up in Khashoggi's clothes leaving the consulate by the back door, also sporting what appears to be a fake beard and glasses. 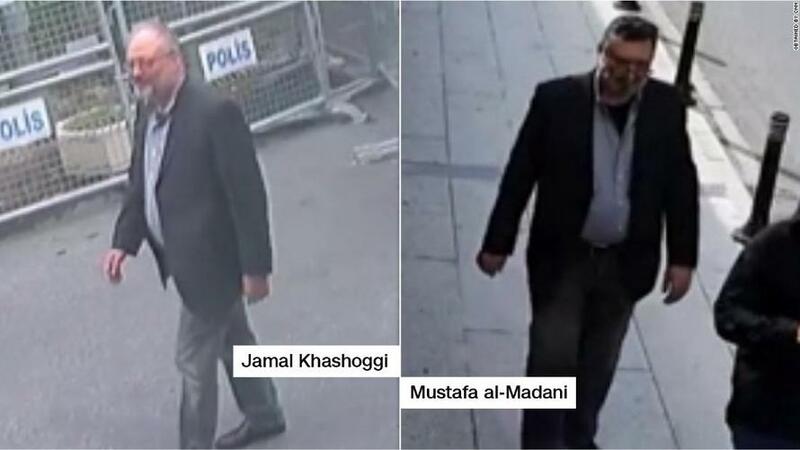 The Saudi operative has been identified as Mustafa al-Madani, according to Tukish investigators, and was part of the Saudi hit squad that murdered Khashoggi inside the consulate on October 2. Saudi operative Mustafa al-Madani dressed as Jamal Khashoggi via CCTV still frame obtained by CNN. Madani while posing as Khashoggi, and even wearing the deceased journalist's clothes, was later seen at the Blue Mosque, a well-known historic site and tourist attraction in the heart of the city. Khashoggi had entered the consulate in order to obtain papers for his upcoming wedding but was murdered only moments later in what's been described as a gruesome scene which last seven minutes. The video of the body "double" is but the latest bizarre twist in an increasingly strange story which shows an immense amount of planning and preparation went into the killing. However, it also increasingly appears to resemble a botched operation straight from a Hollywood spy thriller as the more information the Turks leak, the more outlandish and almost unbelievable the plot becomes. 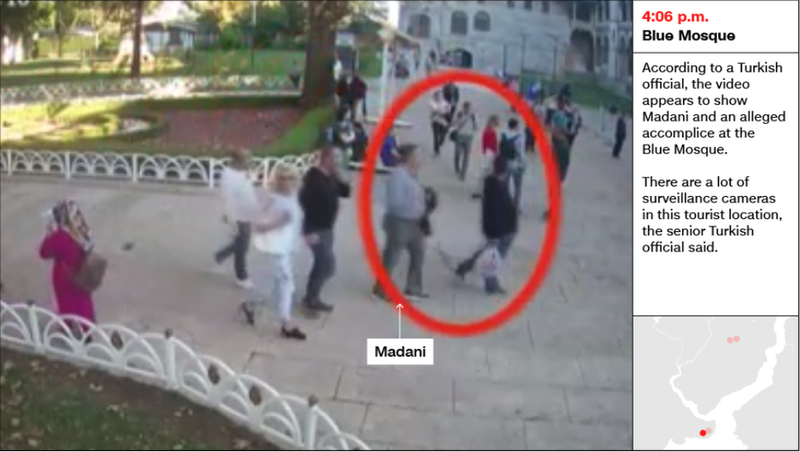 Blurry image of Madani posing as Khashoggi near the Blue Mosque in central Istanbul on the day of the journalist's disappearance and murder. This further proves that the current official Saudi narrative of an unintentional and accidental killing during an "interrogation gone wrong" is false given such pre-planned attempts to throw subsequent investigations off track. A Turkish official told CNN, "You don't need a body double for a rendition or an interrogation," and said of the ongoing investigation: "Our assessment has not changed since October 6. This was a premeditated murder and the body was moved out of the consulate." Meanwhile, Turkish state media has reported a suspicious car belonging to the Saudi consulate has been found abandoned. 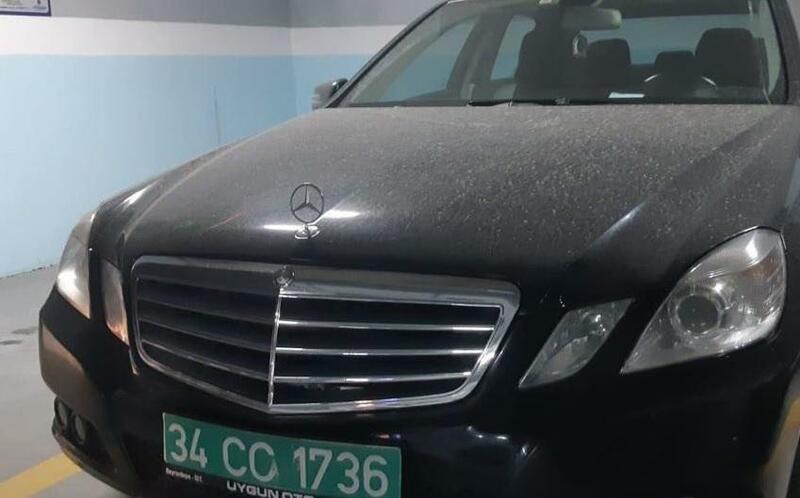 The car, a black Mercedes, is said to match a car bearing diplomatic plates seen outside the Saudi consulate on the day of Khashoggi's disappearance and police have searched for it since. Police sources told daily Hürriyet on Oct. 22 that the Mercedes was found in Istanbul’s Sultangazi district. The car can only be searched if Saudi Arabia gives permission as it carries a diplomatic plate. Meanwhile, another vehicle, carrying no license plate, was removed from the consulate on Oct. 22 with a tow truck. Investigators are currently interviewing staff employed at the consulate, including a driver who may have knowledge of the suspicious car that's been recovered.